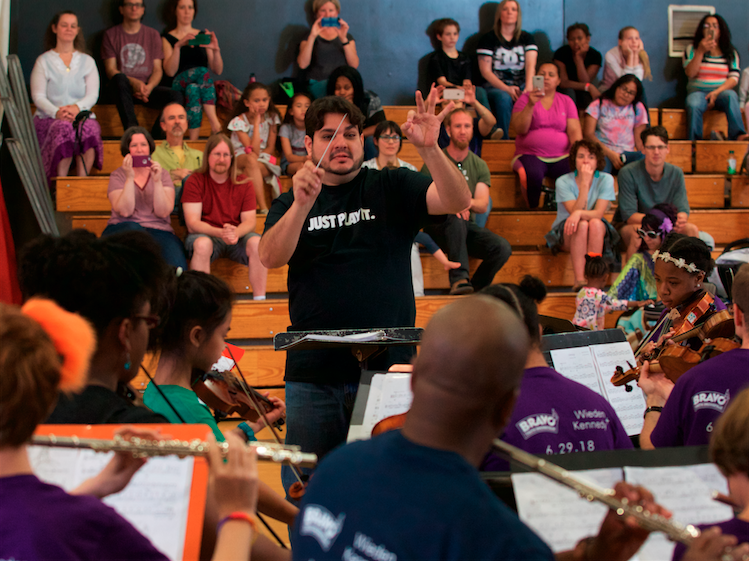 BRAVO is inspired by El Sistema, a worldwide movement of social change through music that started in Venezuela in 1975 and now reaches over 60 countries. El Sistema’s founder, Maestro Jose Antonio Abreu, died in March, and 10,000 musicians gathered to play in his honor, the largest orchestra ever assembled. During BRAVO Summer Camp last week, we were honored to welcome two of Maestro Abreu’s protégés and close associates as visitors to our program. Giancarlo Castro D’Addona is a trumpeter, conductor and award-winning composer who played with our brass and conducted our orchestra in a vigorous performance of Libertango by Astor Piazzolla. 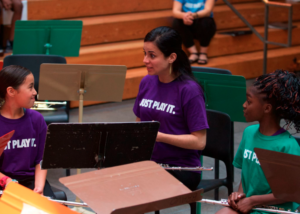 Flutist Juliana Pérez taught winds sectionals, consulted on BRAVO’s program design, and participated in our Collective Composition project. 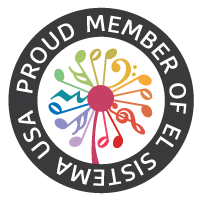 They each served as Guest Artists, sharing their music and stories, and our students and staff are so grateful for their time, expertise, and passion for music. Gian and Juliana, you are an inspiration to us all!